» Neutron - An electrically neutral subatomic particle in the baryon family, having a mass 1,839 times that of the electron, stable when bound in an atomic nucleus, and having a mean lifetime of approximately 1.0 x seconds as a free particle. It and the proton form nearly the entire mass of atomic nuclei and as such, make up most of the mass of the visible matter in the universe. » Density - measured in grams per cubic centimeter (or kilograms per liter): the density of water is 1.0; iron is 7.9; lead is 11.3. 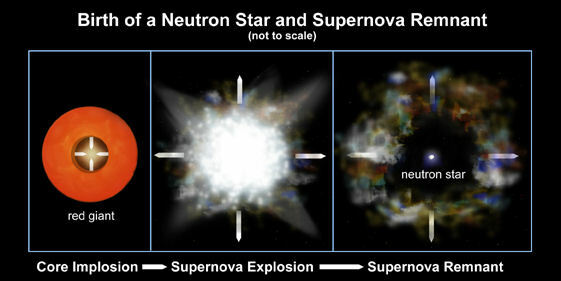 A typical neutron star has a mass between 1.4 and 5 times that of the Sun. It cannot be more massive than this or gravity will overwhelm it and it will become a black hole! 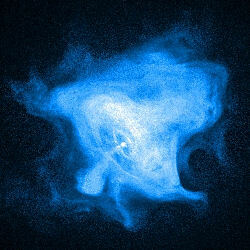 The radius of a neutron star may be between 10 and 20 kilometers. The surface and core density of a neutron star has often been stated via anology  a teaspoon full of it's core material would weigh between a billion and ten billion tonnes; it's surface material would weigh a million tonnes plus. » Gravitational Collapse - is ( for purposes of this section ) the implosion of a star or other stellar object under the influence of its own gravity. The resulting object is many times smaller and denser than the original body from which it was formed. 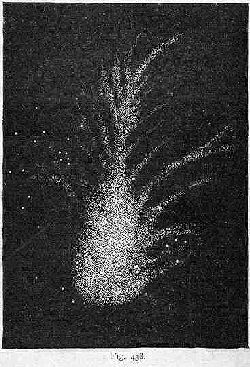 » Implosion - in a star, implosion is the result caused by the sudden stop of it's fusion process thereby causing a violent collapse inward of it's layers towards the iron core. » The Chandrasekhar limit - is a law which sets the maximum limit possible for a nonrotating mass which can be supported against gravitational collapse by electron degeneracy pressure. 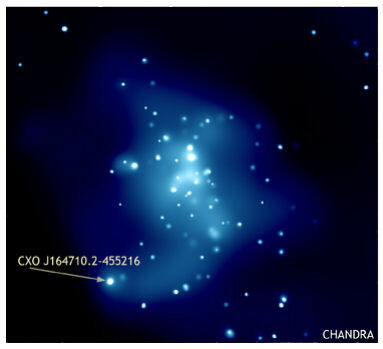 It was named after Subrahmanyan Chandrasekhar, shared winner of the 1983 Nobel Prize in physics for his work on the theory of white dwarf stars. For additional reference see Chandrasekhar limit at the Free Dictionary website. » Black Hole - an area of space-time with a gravitational field so intense that its escape velocity is equal to or exceeds the speed of light. For additional study of black holes see Black Hole at the High Energy Astrophysics Science Archive Research Center (HEASARC) which is the data archive repository for extremely energetic phenomena, from black holes to the Big Bang. » Astronomers, Astrophysicists & Researchers - the following are just a few of the individuals historically associated with the stellar object under study and include professional or amateur astronomers, scientists, astrophysicists and researchers the world over. * The Columbia Encyclopedia, Sixth Edition. 2008. Encyclopedia.com. 13 May. 2009. ** The Bruce Medalists by Joseph S. Tenn Photo of Rudolf Minkowski courtesy Astronomical Society of the Pacific. But implosion from what and how? 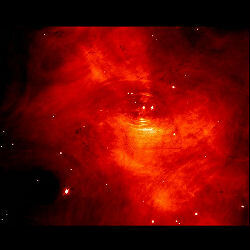 "This star is old, it's age measured in billions of years. The fuel that was once so abundant, hydrogen, is running out. During it's life time the star's own thermonuclear engine has been producing the heavier element helium which is now moving inwards, until only a shell of hydrogen remains around the exterior of the core. 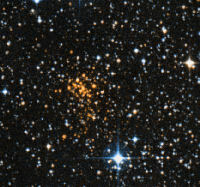 As this happens, the star's own gravity begins to shrink this core, causing an increase in tempeture and beginning a period of hydrogen to helium burning with the results that it's outer layers begin to expand greatly..."
What happens next depends on the size or mass of the star as this directly relates to how long it's layers remain and just what elements the star will continue to fuse, a process that causes the material to compress in and on the interior core of the star, causing it to become denser and denser. In stellar evolution a star, like our sun, burns through it's hydrogen supply over billions of years in a process we know as fusion. When this runs out the heavier element helium will ignite as a result of the density around the core having increased, causing the remaining supply of hydrogen to burn even faster and creating even more heat. This heat causes the outer layers of the star to expand away from the hot core, cooling rapaidly as the suface area of the star becomes too great for the energy output of the core to continue heating. At this point the star has become a red giant and red giant stars with an average mass of our sun will only continue to fuse helium to carbon ( the limit of elements it will be hot enough to ignite ) until the helium burning, igniting intermittently, finally stops. That "intermittent" ignition of the helium is what causes the surface layers of the red giant to be blown off and away from the core, creating those cool nebulae images seen at APOD and in text books. 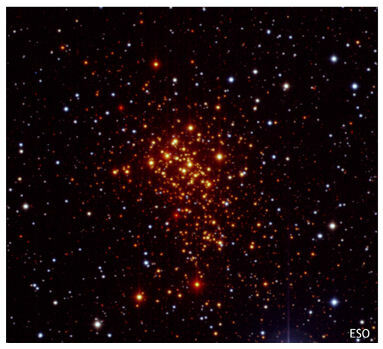 For stars with 10, 100 or even larger masses, something else occurs in the above process  they keep right on burning, fusing heavier and heavier elements, right through to the last element available, the element iron 56 or and this is where the process comes to a screeching halt, almost. What has happened up to this point is that all the previous elements that have been ignited have been exhausted, their remains gravtionally compressed towards the core of the star ( remember that a star is held together through the force of it's own gravity ) creating a fantastic amount of pressure upon it, so much so that in some cases enough pressure is built up to ignite even the iron at the core, but this final ignition just speeds up the process of collaspe for, unlike all the other elements, iron 56 requires more engery to fuse than it produces. Whether the final process ignites the iron 56 or not, the end is still the same for the star. 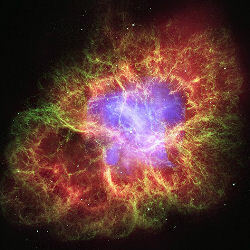 With the thermonuclear fusion now gone the very force that has held the star together, gravity, is also gone. All of the star's material mass, from the core outward, fall or collaspe inward, the elementary atomic particles becoming more tightly packed together than ever before. What it then comes down to is the initial mass of the star as those with masses higher than 20-30 form a black hole and those with less mass form either a neutron star or white dwarf. "With the core collapsed, each subsequent layer also collapses inward. 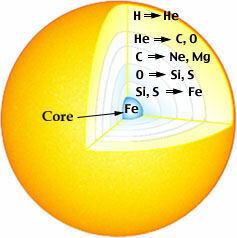 But the major effect comes from the fact that in some ways the core behaves like a rubber ball. As the core falls in on itself, electrons and nuclei are squeezed together into neutrons, and even the neutrons are squeezed into each other--but they push back! and the core actually bounces outward. 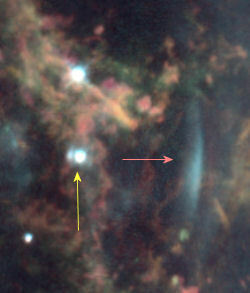 The shockwaves from the collapse and the bounce (both are spherical) meet and reinforce, and the star very rapidly tears itself apart in what is called a Type II Supernova. During the explosion, enough energy is available to fuse iron into all the elements up to uranium and beyond. This matter gets distributed, with at least 80% of the star's original mass, in a huge nebula called a supernova remnant. 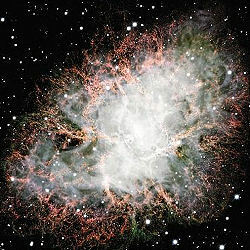 It has been one of science's most studied stellar objects, the Simbad object query site lists over 65 unique astronomical identifiers for it and in dozens of intense scientific studies the same conclusion is reached  unsolvable questions regarding the numerous and mysterious filaments that are at odds with the physical properties of supernovae. It's central neutron star is a pulsar that rotates at a little over 30 times a second, emitting detectable radio waves that sound like listening to the prop of a biplane  For the curious ( as I obviously was ) clicking the spinning icon at right will play a 7-second .wav formatted audio clip of what the Crab Pulsar sounds like recorded at 600 MHz; if the playback clips just replay the link. "The inner ring is unique," said Professor Jeff Hester of Arizona State University, Tempe, AZ. 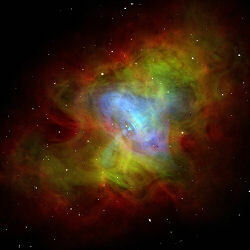 "It has never been seen before, and it should tell us a lot about how the energy from the pulsar gets into the nebula. It's like finding the transmission lines between the power plant and the light bulb...What is going on, according to Dr. Martin Weisskopf, Chandra Project Scientist from NASA's Marshall Space Flight Center, Huntsville, AL, is awesome. "The Crab pulsar is accelerating particles up to the speed of light and flinging them out into interstellar space at an incredible rate." 1. 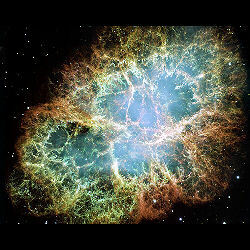 The term "Progenitor Star"  the star that birthed the stellar object and as used herein, for the Crab Nebula, the remnant pulsar or Progenitor Star would have been a massive star.